I checked on our ladies on Thursday afternoon and what did I find? 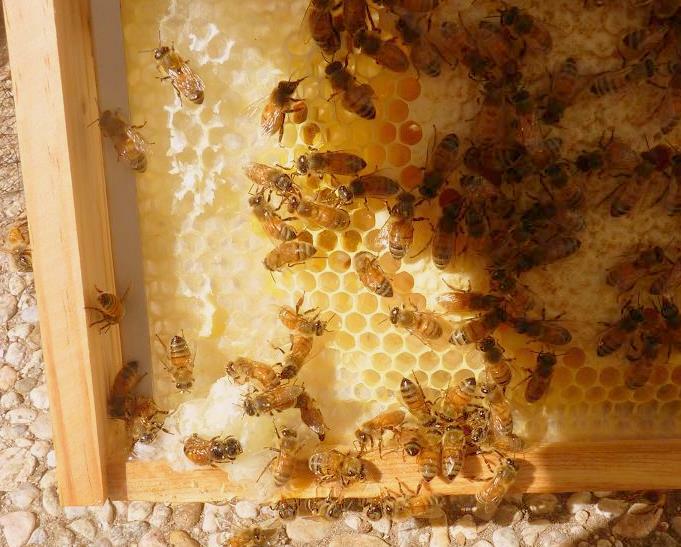 Frame after frame with drawn out comb and lots of nicely capped cells. These girlies sure have been busy! First the worker bees build a cell and only if Her Royal Highness deems it suitable, she lays an egg into it. After that the worker bees cap the cell and a little larvae starts growing. Eventually a pupae emerges that then turns into an adult bee at the age of 21 days. So, I was pretty happy to see that the next generation is in the making since the worker bees only live between one and four months. But what was this at the botton of this frame? Regular female bees (the worker bees) go through their larvae and pupa stages in regular sized cells. Drones (the bigger male bee) usually are 'born' into somewhat bigger cells but are typically positioned in the center of the frame and somewhat of a peanut shape. 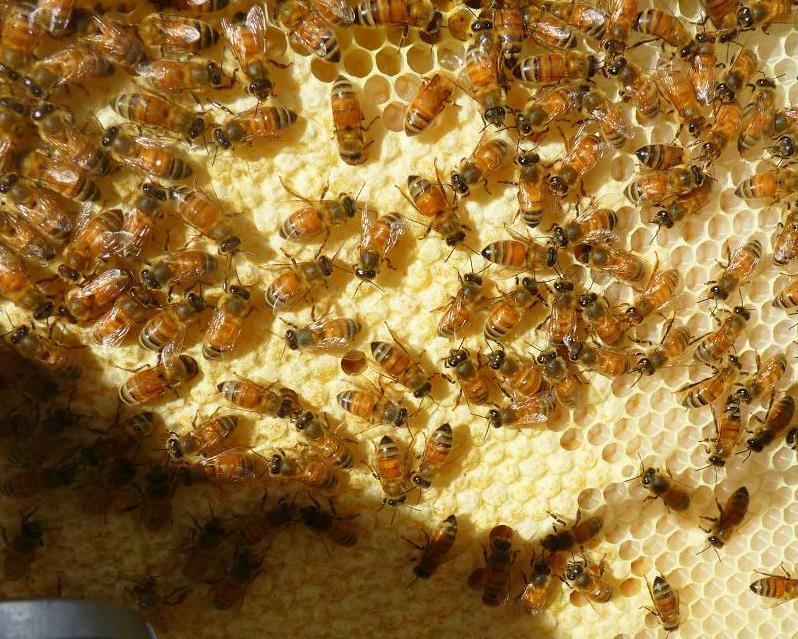 Queen cells are much bigger than regular or drone bee cells. And there are two kinds of queen bee cells. One kind is called the supersedure queen cell and the other is called the swarming queen cell. While the supersedure queen only comes into play when the colony decides that the old queen is not capable of doing her job (laying eggs, and ensuring the population) anymore, the bees raise a new queen to replace the old one. These kind of cells are typically placed on the face of the frame. 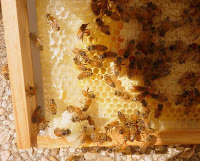 Then there are the swarming queen cells, which are typically positioned on the bottom of the frame. 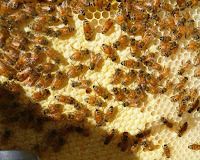 Under good conditions, the colony may decide to swarm and will raise a virgin queen. So, my bees are getting ready for take off. How can I prevent this? Ideally, intime a second brood chamber (super) is provided. OK. It is Friday night if I order online the earliest I can get another super is maybe on Tuesday. Or I can drive to the nearest apiary supply store on Monday. Either way, I may be too late because a queen's larvae through pupa through adulthood is much shorter. Yes, you guesses it: We rushed to Home Despot, Roberto built an emergency-super and painted it. As soon as the paint is dry, I will add it to the hive. Yes, without frames. Until I am able to get frames and foundation from the store on Monday, my bees will build natural comb in this emergency super-duper. . .